I don’t know about where you are, but here in the Northeast the weather recently has been pretty miserable. Dark, Rainy, raw and just plain depressing. The only thing that makes this weather worthwhile is a giant pot of meatballs on the stovetop. My 7 year old, Charlie, literally requested that I make him 30 meatballs for dinner. No pasta or anything, just the meatballs. They’re that good. This recipe for Classic Meatballs is from Ina Garten and has been my go-to for years. These meatballs are the most tender and flavorful meatballs you’ll ever eat. Once again, something that could be enjoyed in a restaurant is now forever ruined. I make these the old school way and pan fry them a little bit before finishing them off in the sauce, but you can definitely bake them in the oven on a sheet pan lined with parchment paper. 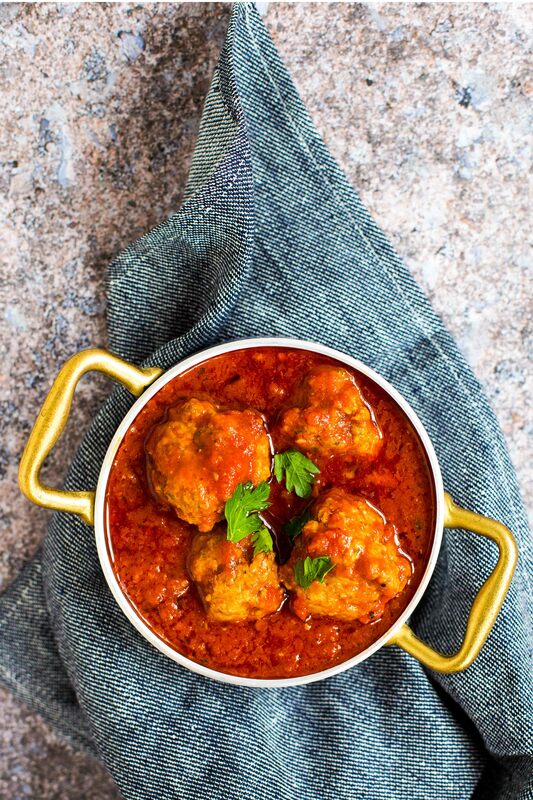 These meatballs can be frozen as is or in the sauce, which is my personal favorite. In a pinch, I just pull out a tupperware of frozen sauce and meatballs in the morning to defrost and by dinnertime all I need to do is heat the sauce and boil pasta. Instant gourmet meal made in 20 minutes. Really can’t beat that. There’s plenty of cold weather ahead of us this Fall and Winter, so be sure to put these Classic Meatballs on your to-do list. You’ll be happy you did. Place the ground meats, both bread crumbs, parsley, Parmesan, salt, pepper, nutmeg, egg, and 1/2 – 3/4 cup warm water in a bowl. Combine very lightly with a fork. Pour equal amounts of vegetable oil and olive oil into a large (12-inch) saute pan until the bottom of the pan is liberally coated. Heat the oil over medium-high heat. 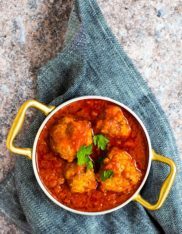 In batches, place the meatballs in the oil and brown them well on all sides over medium-low heat, turning carefully with a tongs or a fork. Add the meatballs to a pot full of simmering Robust Red Sauce. Cover, and simmer on the lowest heat for 25 to 30 minutes, until the meatballs are cooked through. If you’ve made more meatballs than you need, don’t fret! These freeze beautifully – I usually freeze them as meals with sauce; perfect for a weeknight dinner! The meatballs can also be frozen as is; just flash freeze them on a sheet pan and then transfer to a Ziplock bag.